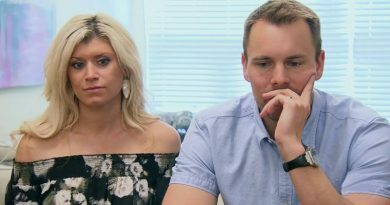 On Married at First Sight: Happily Ever After, Danielle Bergman and Bobby Dodd aren’t always portrayed in a favorable light. She comes across as cold and not appreciating the value of money. Recently, Danielle took to Instagram to fire back at her critics. Danielle Bergman took to her Instagram Story on Friday, November 30. She fired back at her critics and defended her spending habits. 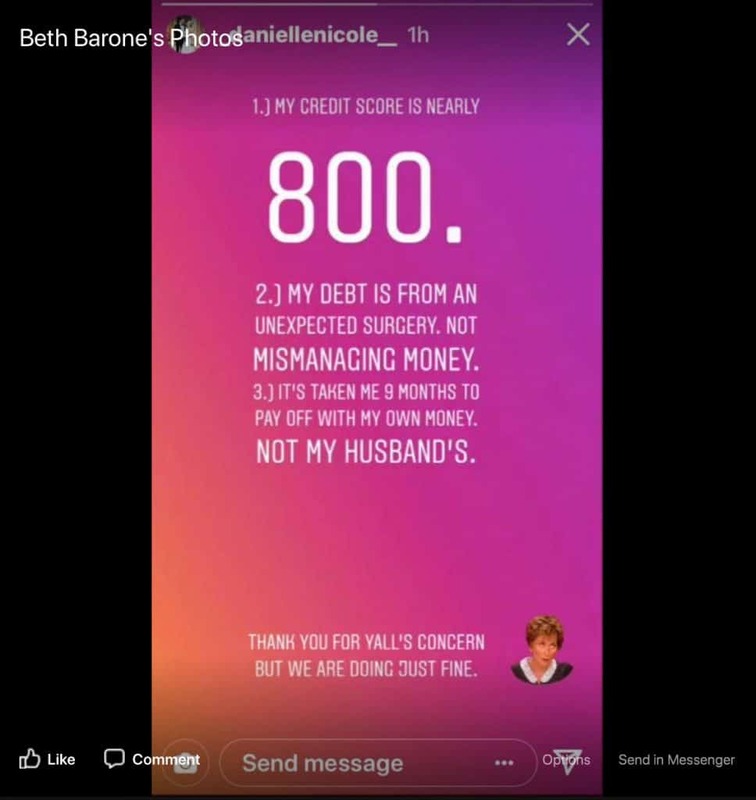 A big topic of discussion among fans is the fact that she was shown to be over $15,000 in debt on the Lifetime show. Even so, she doesn’t even flinch when it comes to looking for a new house with husband Bobby Dodd. It’s certainly possible for the parents-to-be to raise their baby in their current home, it’s a very nice house. But Danielle Bergman wants to move up at all costs on Married at First Sight: Happily Ever After. Bobby Dodd is the more budget-conscious of the two on Married at First Sight: Happily Ever After. 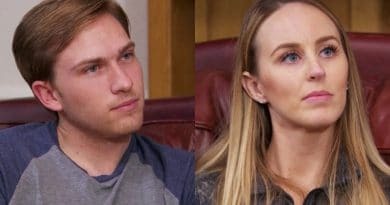 The latest episode of Married at First Sight marks the first time that Bobby Dodd tells his wife no and doesn’t budge. Even Pastor Calvin Roberson thinks that Danielle’s insistence to move is unreasonable. He advises Danielle Bergman to put family first, but she seems to be putting herself at the top of the list. Danielle Bergman is feeling the heat over the way she’s been portrayed on MAFS: Happily Ever After this season. It’s unclear whether her message is genuine or whether it’s an attempt to deflect some of the heat coming her way. Either way, it’s enough fodder to get both fans and critics talking. Danielle addresses the criticism directly, and it’s at a point where it’s clearly affecting her. 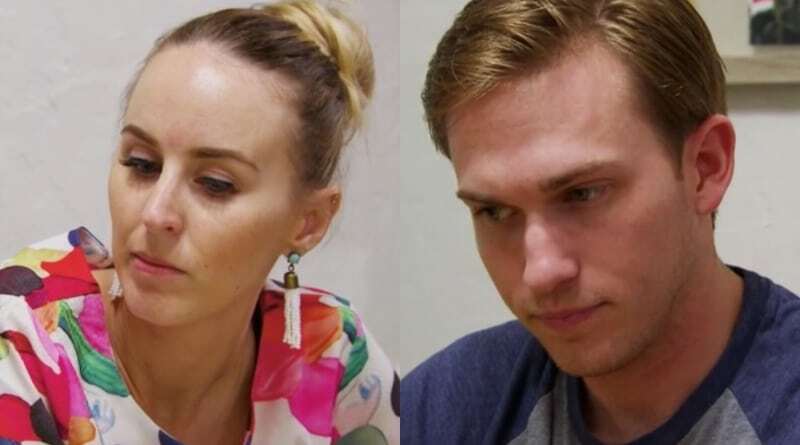 Some Married at First Sight: Happily Ever After fans have come to Danielle Bergman’s aid. Bobby Dodd himself posted his wife’s message in a Married at First Sight Facebook group in response to a fan post telling him to put his foot down. 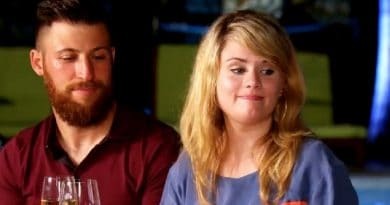 What’s next for Bobby Dodd and Danielle on MAFS: Happily Ever After? It’s possible that Bobby Dodd and Danielle Bergman have worked out their issues since filming wrapped on Married at First Sight: Happily Ever After. Still, as the current season shows, they’re in quite a precarious position. But if they say they’re in a good place, fans can likely take them at their word. There’s always going to be plenty of fodder to pick and choose from either way. Are Bobby Dodd and Danielle Bergman the victims of selective editing, or are there deeper issues beneath the surface? Catch an all-new episode of Married at First Sight: Happily Ever After Tuesday at 10 PM only on Lifetime. ← ‘Days of Our Lives’ Spoilers: Chad Leaving – Titan Needs a New CEO!